The Department of English and American Studies at Sofia University “St. Kliment Ohridski” invites scholars to submit proposals for the international conference Traditions and Transitions – to be held in Sofia, Bulgaria. The conference is dedicated to the 90th anniversary of the Department of English and American Studies at Sofia University and the 130th anniversary of Sofia University “St. Kliment Ohridski”. People celebrate anniversaries in order to commemorate what has been achieved so far and to envision what should be achieved in the future. The event aims to look back at a distinguished past, and ahead to a challenging future. The conference seeks to bring together young and established scholars, and also professors emeriti from academic institutions in Bulgaria and abroad, giving them a venue to debate and exchange views on traditions and transitions in the research in and the teaching of English-language-related disciplines. The field of English and American Studies is in transition, as it seeks new approaches, and re-examines older ones, in order to address the multiple issues facing the development of English-language related disciplines required for participation in today’s global community. The organizers of this conference encourage papers using a variety of interdisciplinary approaches to developments in the field and a wide range of analytical perspectives (historical, artistic, literary, political, aesthetic, ethical, linguistic, sociolinguistic, cognitive etc.). Abstracts for twenty-minute presentations and panel proposals should be submitted by 1 March, 2018. Prof. Evgenia Pancheva, Dr. Habil. With the kind support of the Academic Foundation for English and American Studies (AFEAS). 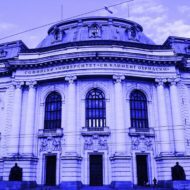 Протоколи от държавните изпити 10-11 юли 2017 г.